Home » Food and Nutrition » Alternative Remedies » Can Supplements Actually Prevent Cancer? Can Supplements Actually Prevent Cancer? This is another area of nutritional medicine that gets a great deal of attention. Many people also ask me if they should take additional nutrients in supplement form to prevent chronic diseases. My answer varies depending upon the individual circumstances; however, some new research findings have shed light upon this topic. 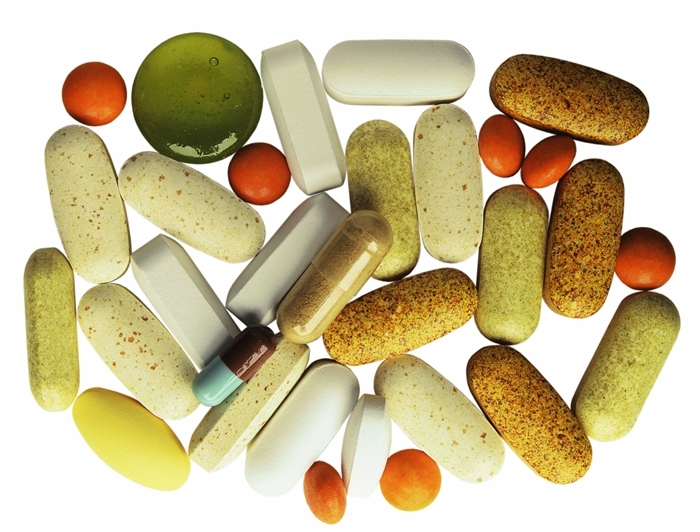 The results of a new study published in the Annals of Internal Medicine may give pause to approximately the 50% of the American population who currently take supplements for primary prevention. Researchers from Kaiser Permanente Center for Health Research looked at a total of 26 studies published since 2005 which evaluated the use of individual nutrients like vitamins and minerals. The researchers looked at studies which evaluated nutrients utilized in various combinations for the primary prevention of cancer, cardiovascular disease, and the effects upon mortality rates. One of the results reported included two large clinical trials involving 27,658 male subjects which indicated that the use of multivitamins had a lower incidence of cancer after 10 years of follow up. Another similar study involving female participants showed no benefit or harm after taking multivitamins to prevent cancer. Studies that involved the use of single or paired vitamins or minerals were not able to show any clear benefit or harm to the study participants. Like so many of the other reviews I have read, this one is no different. This review only looked at studies that considered fair or good quality trials when considering any recognized benefit. The analysis included adults with no known nutritional deficiency but there was no available information regarding their current health status. The studies involved subjects who were older, and involved various types of supplements, taken in various combinations and dosages and for various durations. These studies were also done over variable time periods with different follow up periods. Can you understand why there would be no clear answer to this question in the published literature? There is, however, a bias in the reporting of the findings of this research. Although the research has not shown a clear benefit in the use of vitamins and minerals on the prevention of cancer and heart disease, it may be rather presumptuous to assume that these is no potential benefit to people. If you consider the other data which has shown a potential benefit in disease reduction or in the decrease in inflammation or free radical production which are the basic mechanisms of chronic disease development, the use of cheap and safe vitamins may not be such a bad idea. Lewis, R.,“Vitamin and Mineral Supplements Do Not Prevent Cancer or CVD,”Medscape website, Nov.25/13. http://www.medscape.com/viewarticle/814342, last accessed Nov.25, 2013. Fortmann, S., et al.,“Vitamin and Mineral Supplements in the Primary Prevention of Cardiovascular Disease and Cancer: An Updated Systematic Evidence Review for the U.S. Preventive Services Task Force,”Ann Intern Med. Published online November 12 2013.